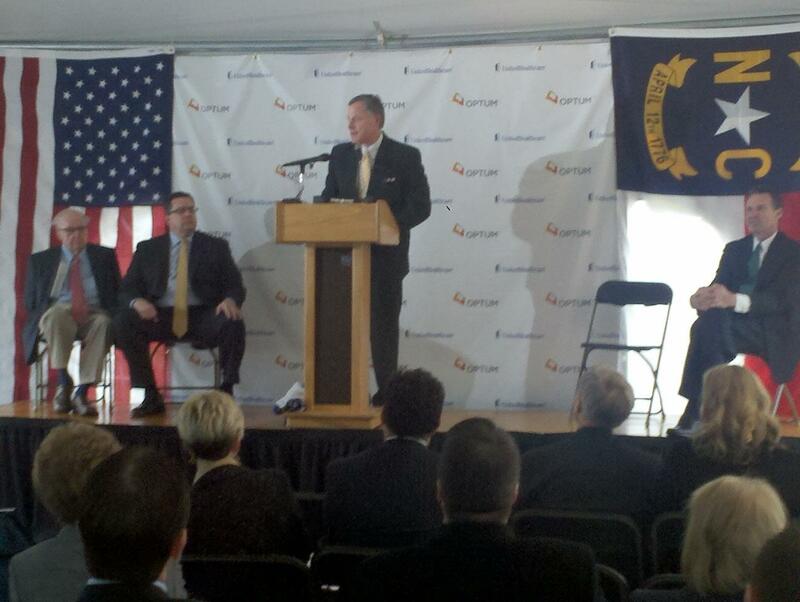 United Healthcare announced Tuesday that it will add 500 new full-time jobs by the end of 2013. From L to R: Congressman Howard Coble, United Healthcare CEO Garland Scott, U.S. Senator Richard Burr and Greensboro Mayor Robbie Perkins celebrated the announcement of 500 new jobs coming to the city. United Healthcare has steadily grown its Greensboro workforce during the past five years and on Wednesday announced plans for 500 new positions. The growth marks about the same number of additions United Healthcare made locally in 2012. The jobs are clinic positions, claims processors and nurses. Most of the new employees will work at the regional call center in Greensboro. CEO Garland Scott said at a Tuesday morning press conference that the growth is organic and the company didn’t ask for, or receive, any tax incentives. United Healthcare has been in Greensboro since 1996 and with these additions should have about 4,000 employees in the city by the end of the year. The company has about 900,000 North Carolina customers. Scott says he does not anticipate any difficulty finding skilled workers to fill all of the vacant positions. Nationally the company grew by two million members last year. It is a subsidiary of the Nation’s largest health insurance company.